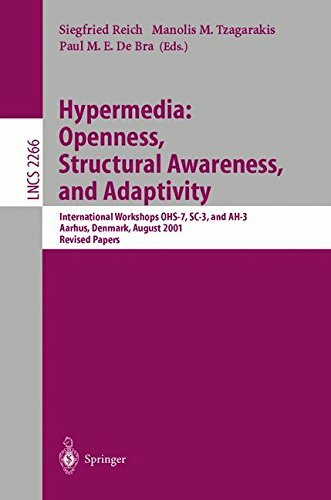 This book presents the joint post-proceedings of three International Workshops held as part of the 12th ACM Conference on Hypertext and Hypermedia in Aarhus, Denmark in August 2001. The 28 revised full papers presented were carefully refereed and selected during two rounds of reviewing and revision. In accordance with the workshop topics, the papers are organized in sections on open hypermedia systems, structural computing, and adaptive hypermedia.